Bernhard Storch was born November 19, 1922, in South Poland. When World War Two erupted on the 1st September 1939, Mr. Storch left home on the advice of his mother ahead of the approaching German Army seeking safety. After 10 days he arrived in the city of Lwow. On the 18th September, the U.S.S.R. troops occupied the City. In the beginning of May 1940, he was arrested by the KGB, (secret police) and transported with thousands of others to a labor camp in Central Siberia. 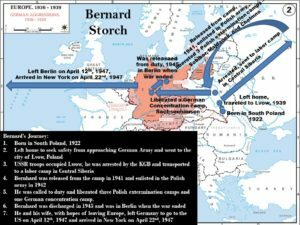 After the declaration of War by the Nazis on the USSR in June 22nd 1941, Mr. Storch was released from the camp in November 1941, and enlisted in the Polish Army in November 1942. He was called to duty in March 1943, and was discharged in September 1945. During his military service he helped in the liberation of four extermination camps, three in Poland and one in Germany. 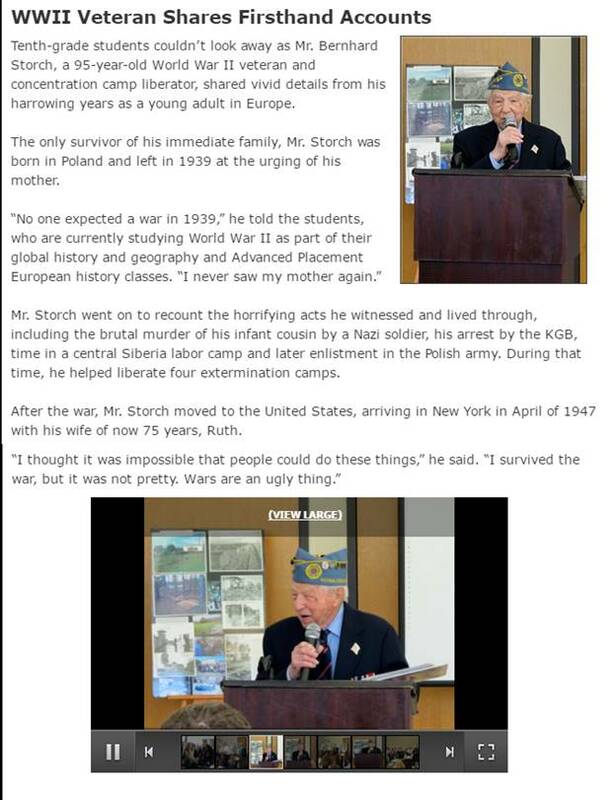 Mr. Storch was in Berlin when the war ended. 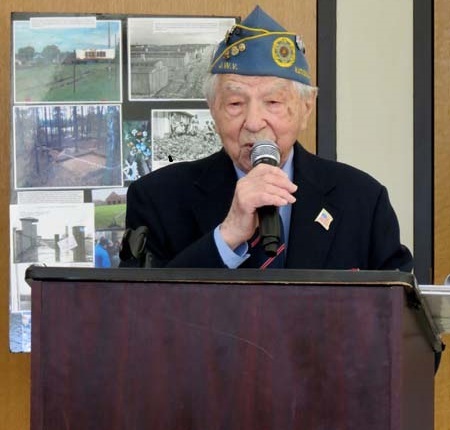 In January 1946, he left Poland with the hope of leaving Europe, and eventually, with his wife Ruth they left Germany on the 12th of April 1947 and arrived in New York on the 22nd of April 1947.